Canine Elbow Dysplasia is actually an umbrella term that covers several conditions affecting the elbow joint in dogs. While the specifics of each condition vary, the common denominator among them is a malformation of the cartilage in the elbow joint. This can take the form of a bony protuberance that becomes detached from the bone, a floating piece of cartilage or bone or simply a failure of the bones to develop properly, causing the joint to be malformed. Regardless of which particular form the condition takes, it can be painful and uncomfortable. Dogs who are affected by ED will display a range of symptoms including lameness or a paddle like gait, holding the affected limb either away from the body or close into the body, and tiring easily. Dogs that suffer from ED can seem to be uninterested in physical activity such as agility training but the reality is that engaging in such activity may be extremely painful for them. While any dog can develop elbow dysplasia it is most common among the larger breeds. 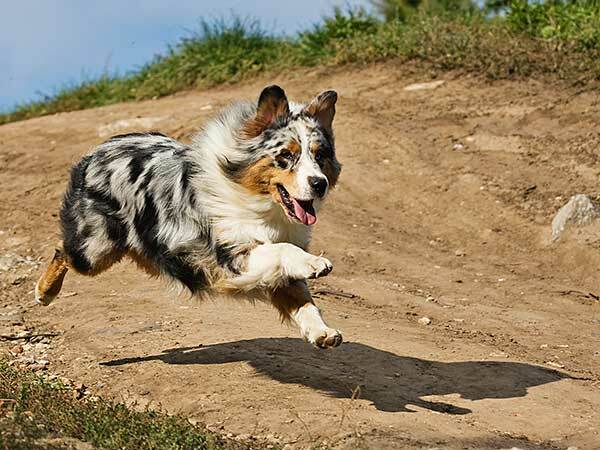 Golden and Labrador Retrievers, English Setters, English Springer Spaniels, Rottweilers, German Shepherds, the Bernese Mountain Dog, Chows, Shar-Peis and Newfoundlands are among the breeds most commonly affected, but it certainly still occurs in Australian Shepherds. ED generally occurs in puppies, between 4 and 10 months, but some dogs can remain free of the condition until adulthood. If your dog shows signs of ED, it is imperative that you get a clinical diagnosis. Your vet can run a series of MRI's and/or CT scans to get a clear picture of exactly what the condition of your dog's elbow is. Some dogs will only have one affected elbow, while others will have symptoms in both elbows. Once your vet has properly diagnosed ED, you'll be able to discuss the possibilities for treatment. Treatment of elbow dysplasia is directed toward relieving the dog's discomfort. In most cases, that can be achieved with a course of anti-inflammatory drugs, and physical therapy including underwater treadmill/swim therapy, massage, manual manipulation of the joint and therapeutic exercise. Eating a healthy diet in order to reduce body weight can also help, as carrying extra weight will only put more stress on damaged joints. In the most severe cases of ED, surgical intervention may be necessary. 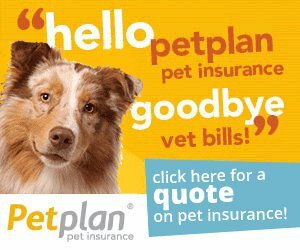 This can involve everything from simply cleaning out the joint and removing floaters to total joint replacement or even bone fusion, which would eliminate pain but leave the dog with a permanent limp. Because surgery is so invasive and success is not guaranteed, most vets leave this only as an absolute last resort. Naturally, the pain of elbow dysplasia will be exacerbated by participating in rigorous physical activity such as agility competition. Unfortunately, dogs can't tell us when they are hurting and they are so eager to please that they will continue to run despite being in extreme pain. As such, it is up to us as owners to be aware of their health status and to take the proper action if there is the slightest case of a potentially-severe medical issue. As much as you and your dog might enjoy agility training, it is never worth putting your dog's health at risk, so if you suspect your dog might have ED, do the responsible thing by stopping your training immediately and getting him to the vet for a proper diagnosis. Do Puppy Vitamins Cause More Harm Than Good?